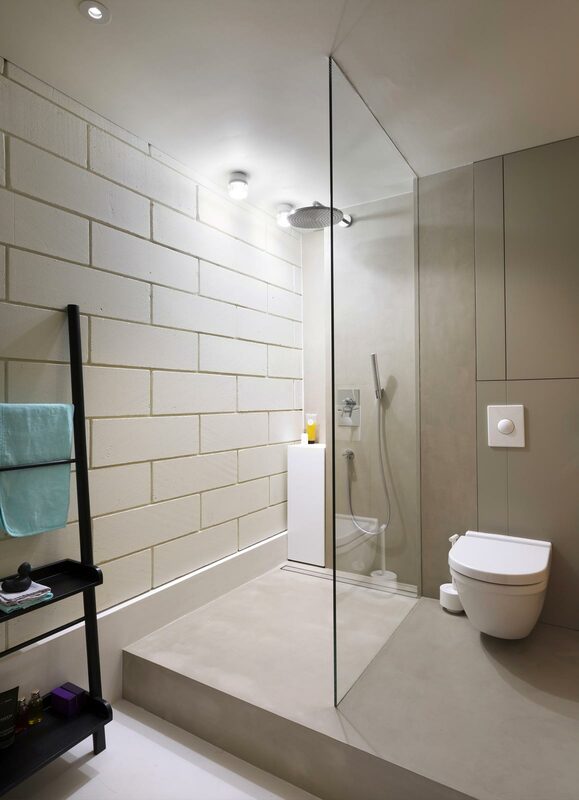 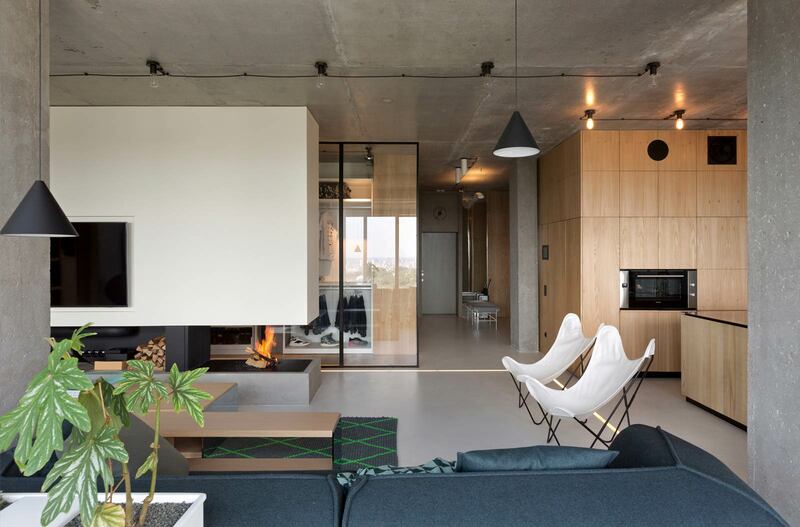 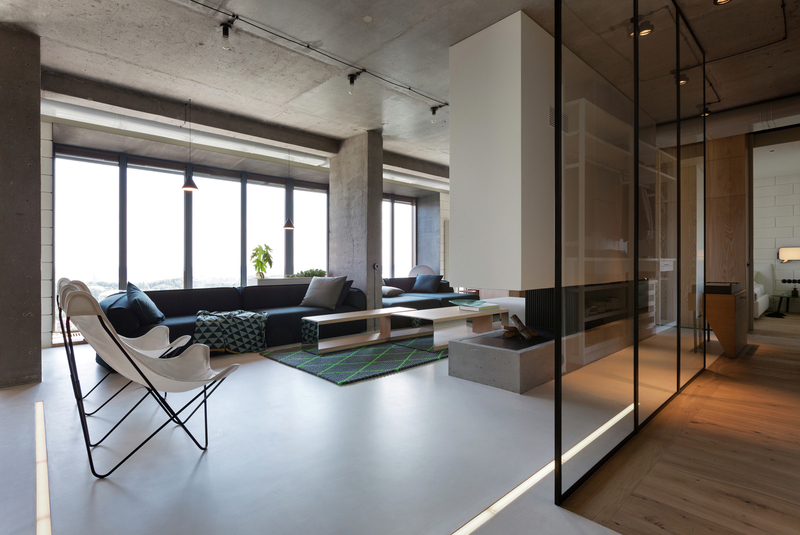 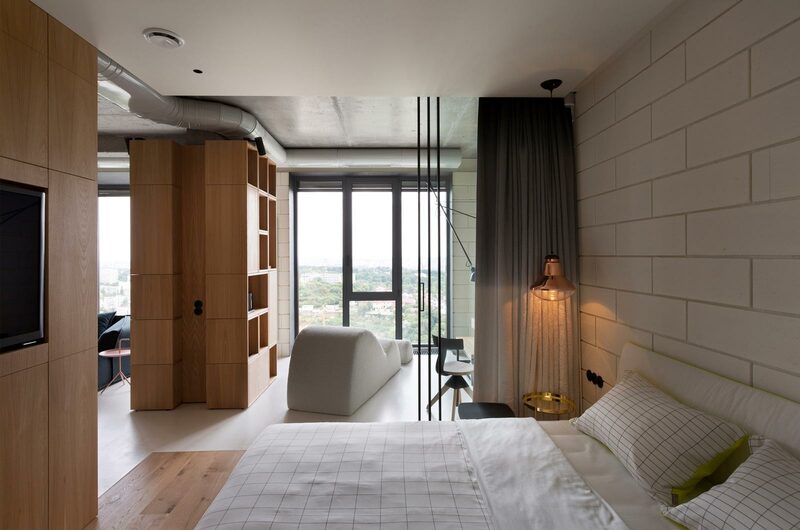 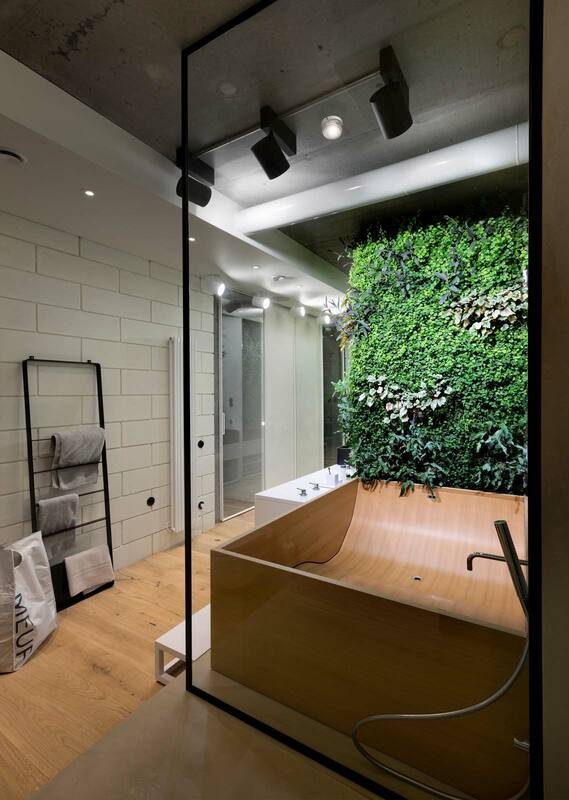 If anything, this pad in Kiev, Ukraine by Olga Akulova Design is crisp and to the point. 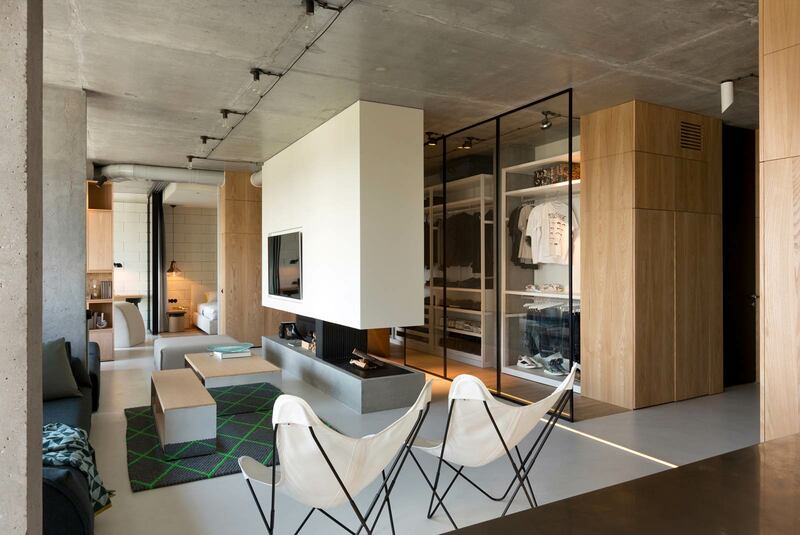 Bare surfaces and sharp lines bring a host of ideas and features in sheer harmony and utter modernist delight. 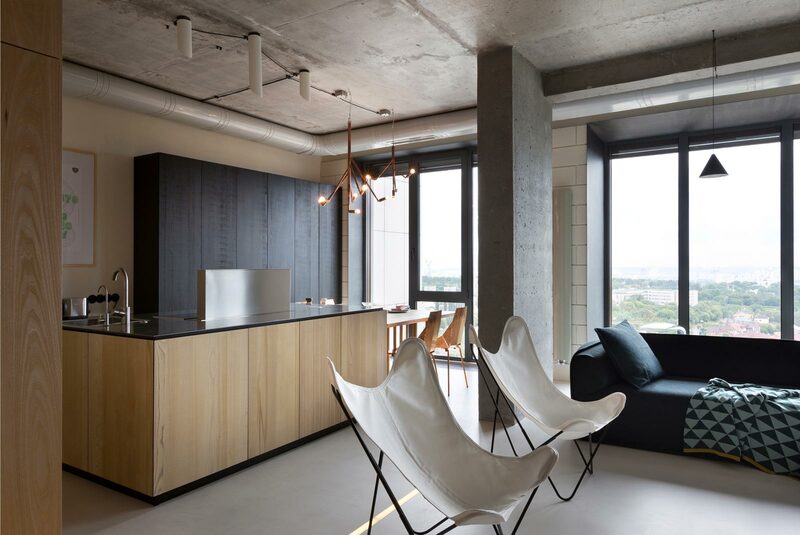 Located on the 30th floor of Novopecherskie Lopki condominiums, this contemporary penthouse breathes deep and easy, setting up a unique dialogue with the surrounding skylines and vistas. 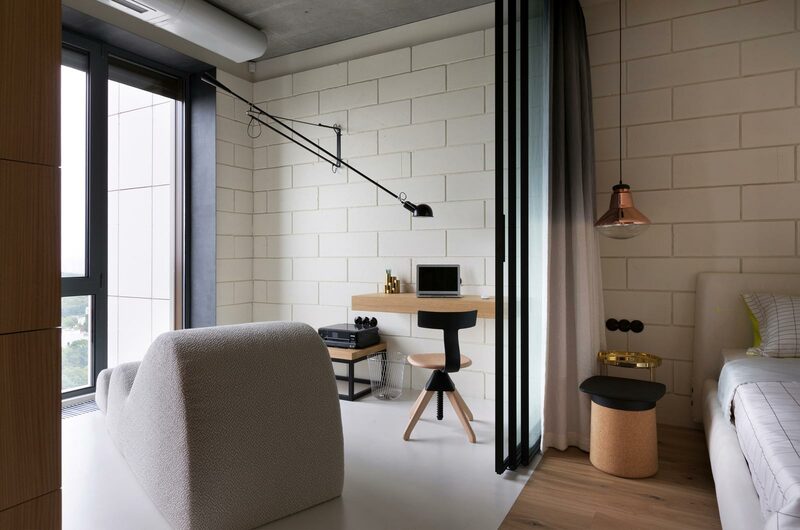 Articulated in neat and tidy strokes, this apartment presents a pleasing aesthetic that fits in effortlessly with the demands of modern lifestyle. 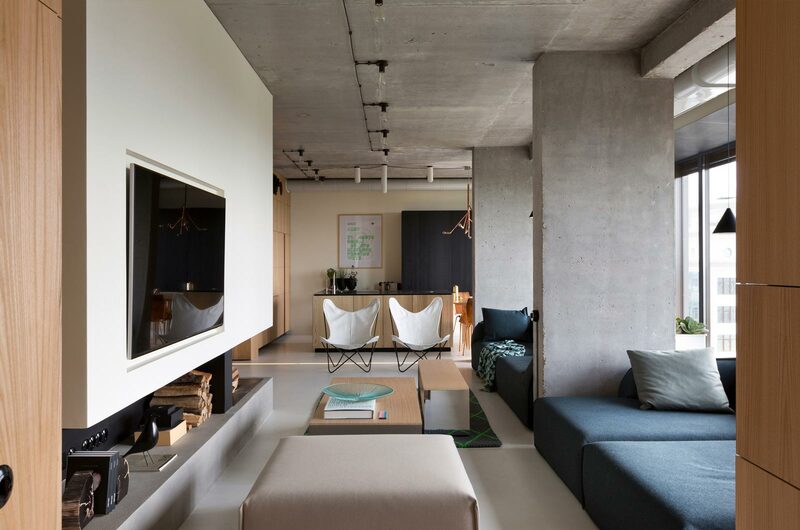 Glass wall windows, concrete ceilings and a subtle color palette wash the interiors in natural light, the city emerging as a striking backdrop to the proceedings inside. 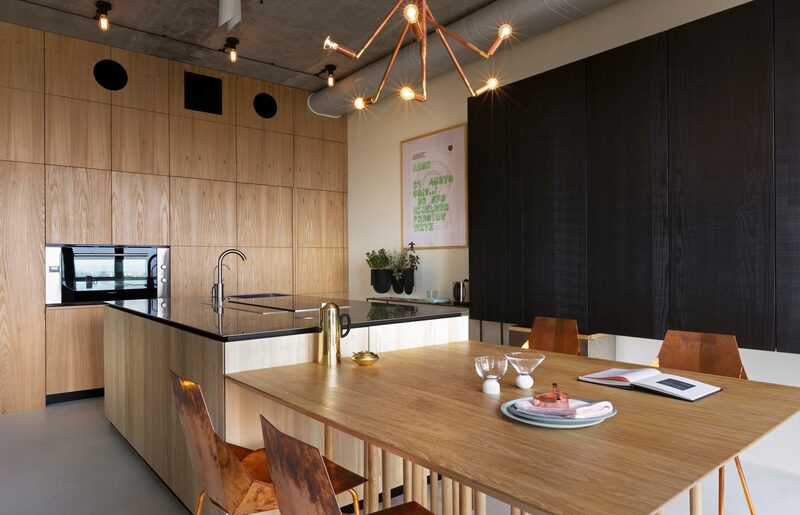 Sticking with the true grain of materials employed, the decor brings a gentle organic mellow to an otherwise masculine design. 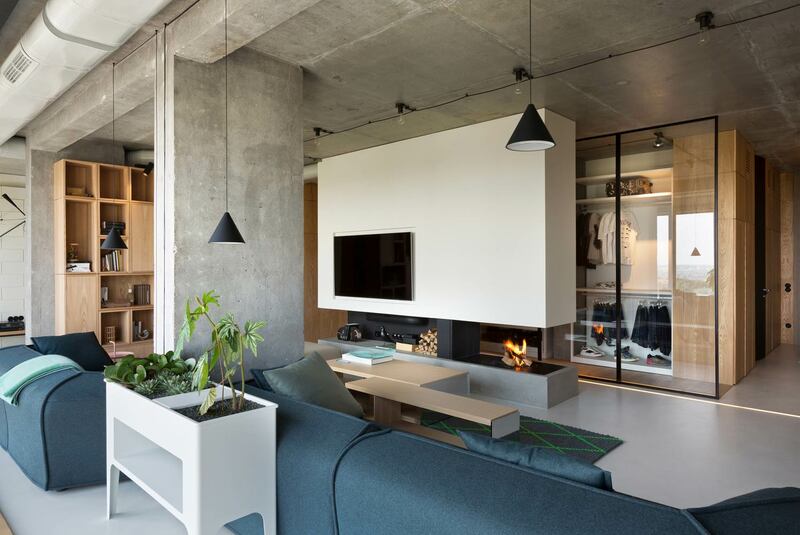 The fluid layout further accentuates this lightness that pervades through this contemporary penthouse, smoothly sailing upon the core design intentions across space, tone and purpose. 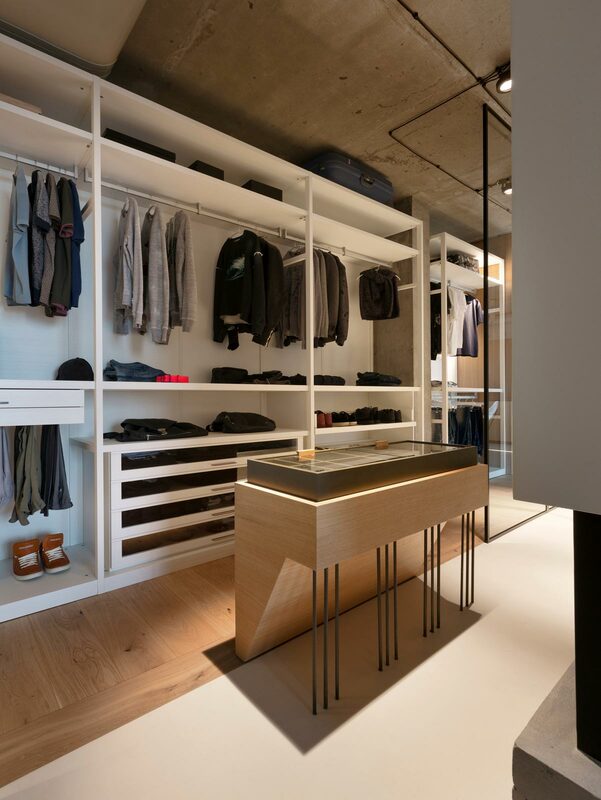 Yet this design is a lot more than suave looks and low maintenance; the clever house system controls the temperature, security system, lighting and media to facilitate easy living.